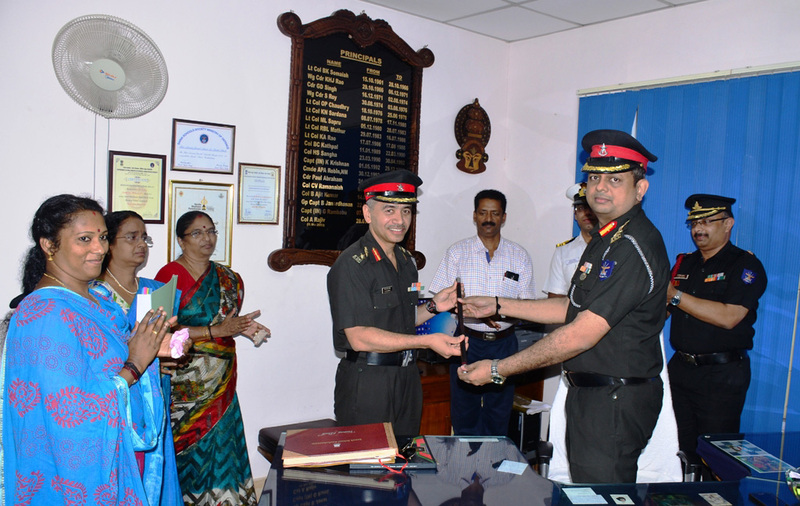 Sainik School Kazhakootam, one of the most prestigious portals of learning in Kerala, witnessed a change in command on 26 April 2018 with Col VKS Rawat taking over the reins of this premier institution from Col A Rajiv who would be proceeding on study leave after 3 years of eventful, dedicated and meritorious service to his alma mater.His tenure saw unprecedented developments across various disciplines. Col VKS Rawat, a post graduate in Political Science also holds an MPhil in Education, Diploma in Pashto Language and is a research scholar in Political Science for which he would be conferred with a PhD shortly. The highlights of his vast instructional and administrative experience are his tenures at IMA Dehradun, AEC Training College Panchmarhi, as SHO of MOD (Army) and Sainik School Kunjpura from 2012 – 2016 as the Vice Principal.It is expected that he would be able to recreate the feat of maximum selections to the NDA which was his forte as the Vice Principal. Prior to this new appointment, he was posted at HQ 17 Corps as Col GS(Edn).